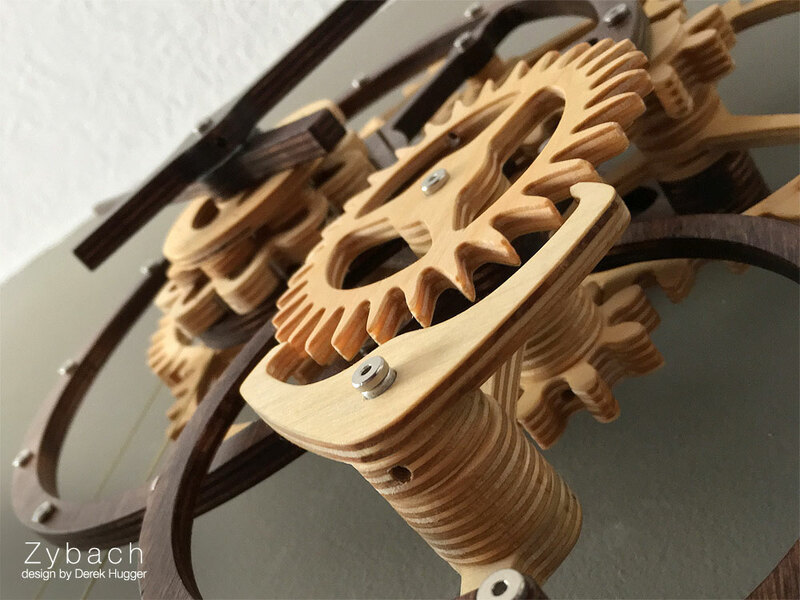 Zybach is a simple and easy to build weight driven wooden gear clock. 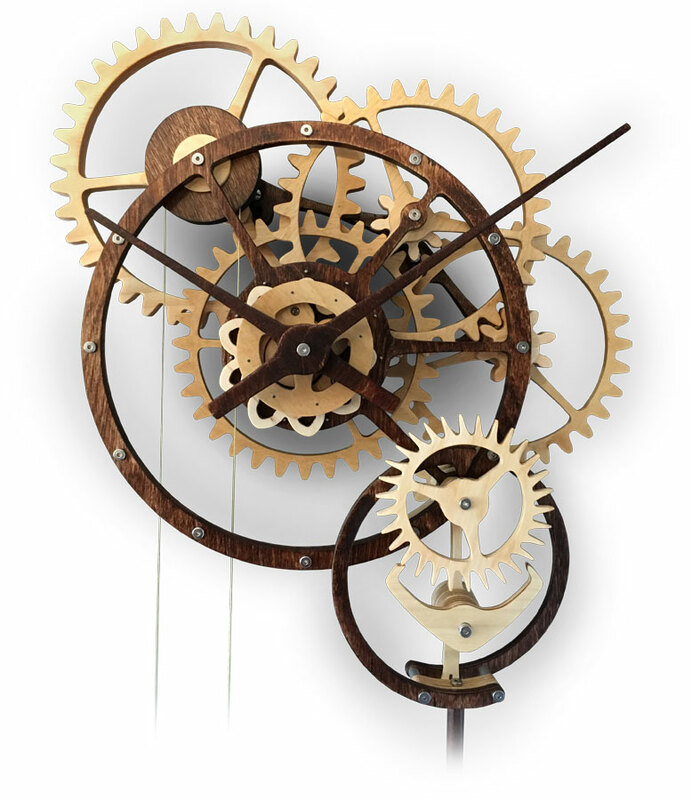 Its circular forms are reminiscent of crop circles, giving the clock its name. It's named after Frank Zybach, inventor of the center pivot irrigation system, which revolutionized farming in the mid 1900s. Zybach is simple and minimal. There are no extraneous or elaborate shapes, only straightforward forms that are required for function. 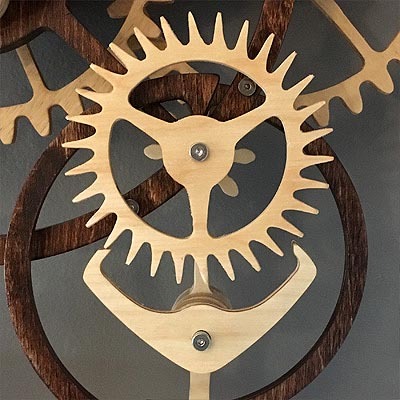 As an alternative to more gears, this mechanism allows a 12:1 reduction for the hour hand while at the same time giving a unique appearance to the center of the clock. 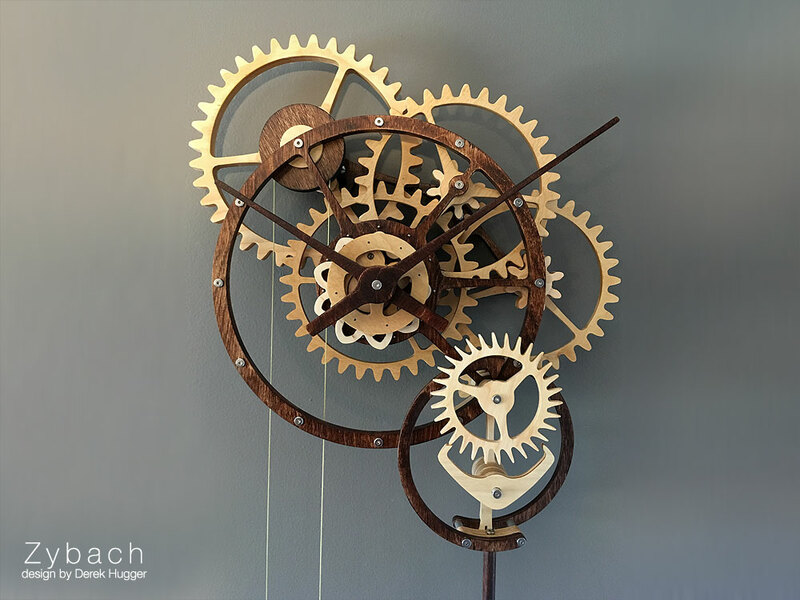 The escapement is a clock's time keeping mechanism, its heartbeat. Zybach uses one of the simplest types of escapements, the Graham. 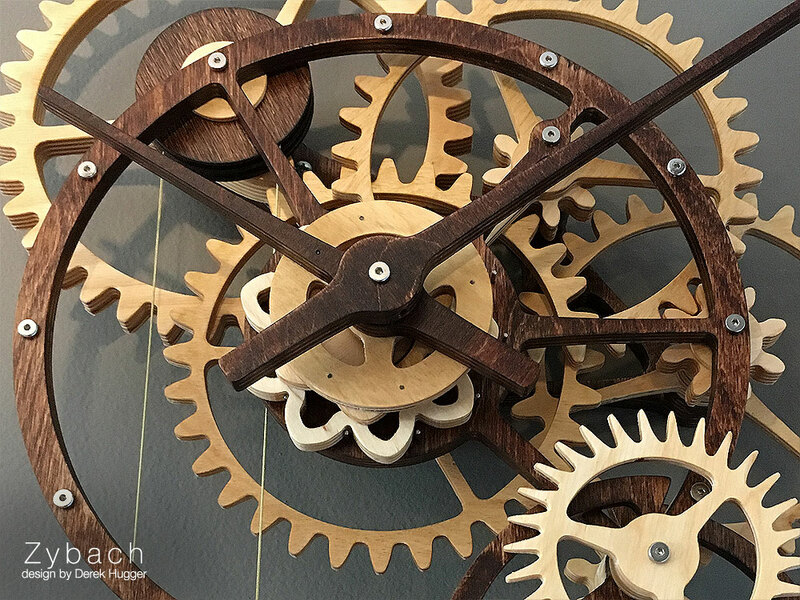 This escapement is reliable, easy to build, and straight forward to tune. To set Zybach's time, simply turn the minute hand. 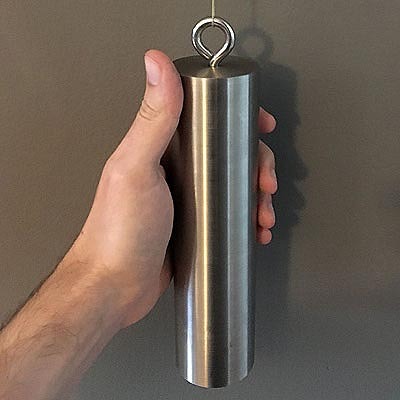 To wind it, lift the weight and gently pull on the wind cord. 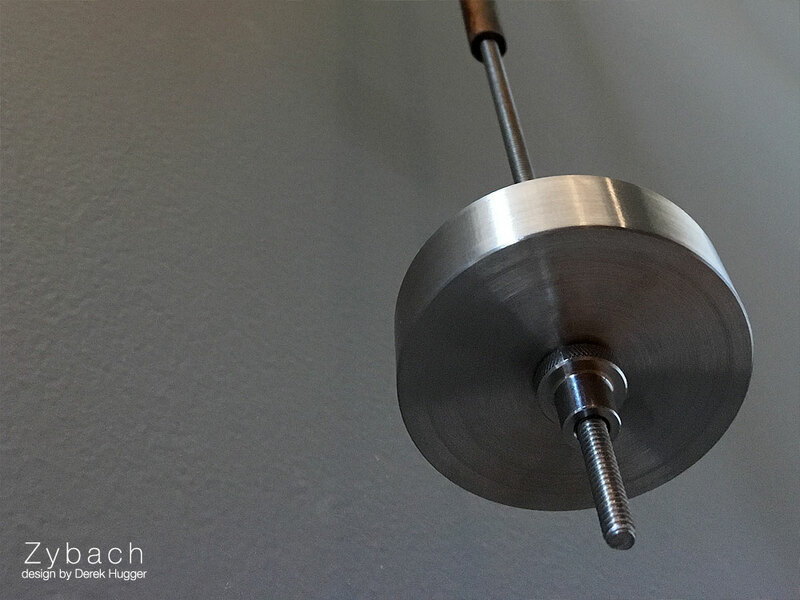 The pulley spins, magnetic ratchets engage, and Zybach will run all day and all night, up to 30 hours. The sample plans are a snippet of the purchased version. 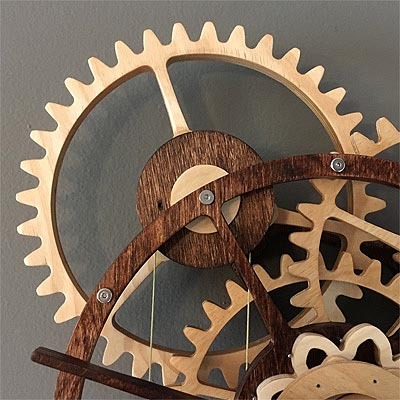 They contain a list of the tools needed, specifications for all required hardware, as well as samples of the wood patterns and assembly instructions. Woodworking plans are delivered digitally via email. Plans are sold securely through PayPal and are delivered through Payloadz. 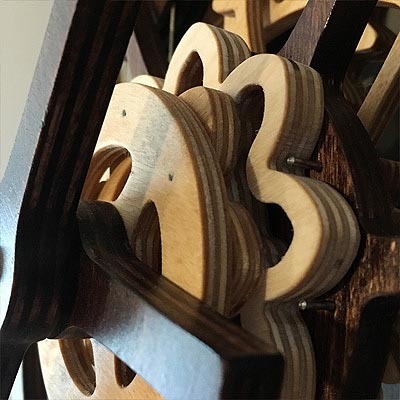 Plywood parts can be cut manually with printable patterns in PDF format, or they can be cut with a CNC machine using the included DXF files. Copyright © 2019 Derek Hugger. All rights reserved.